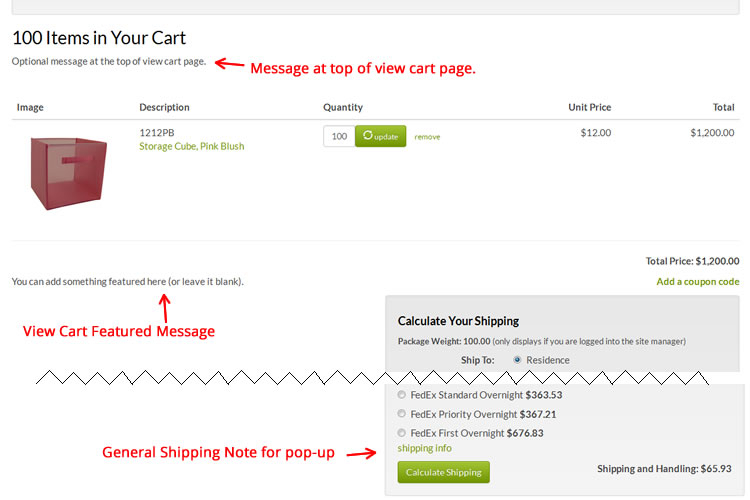 Messaging for various areas of your check out pages and customer notification emails can be manages though either "settings" or "messages" in your Site Manager. Thank You Messaging in "Messages"
To edit your messaging on HEROweb's mobile-friendly sites, click on "messages" to bring up the Messages Manager. 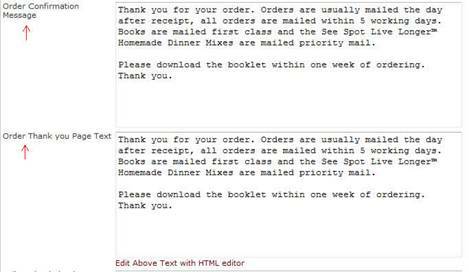 Below are screenshots of the checkout pages, with the fields being used displayed in red. 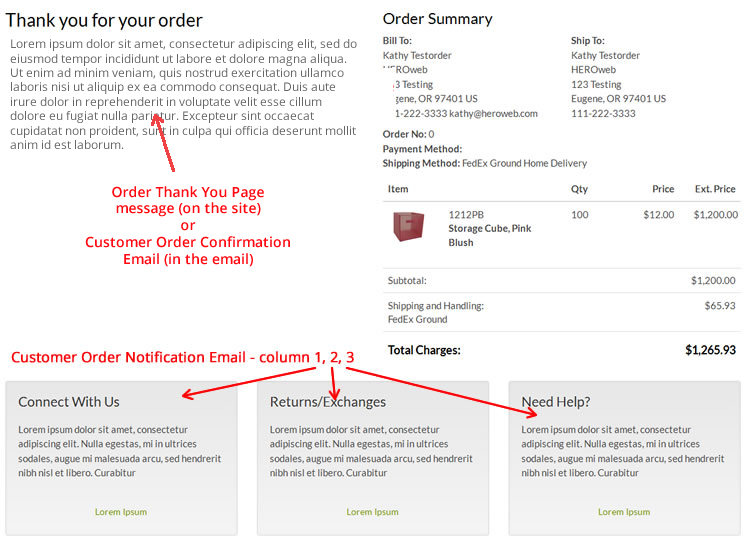 Thank You Messages in "Settings"
on the final page at checkout.